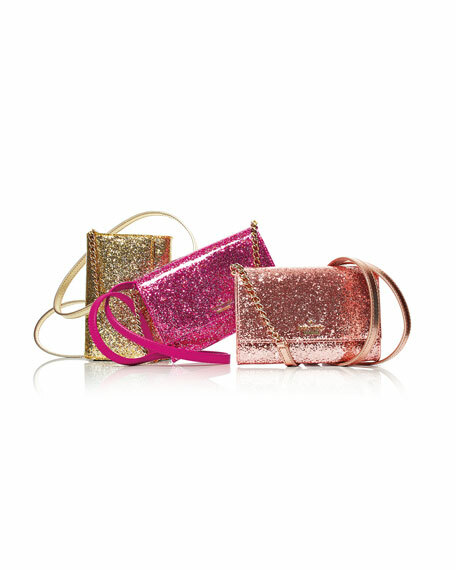 kate spade new york chunky glitter patent leather crossbody bag. Chain and saffiano leather shoulder strap, 23" drop. Flap top with snap closure; golden logo lettering. 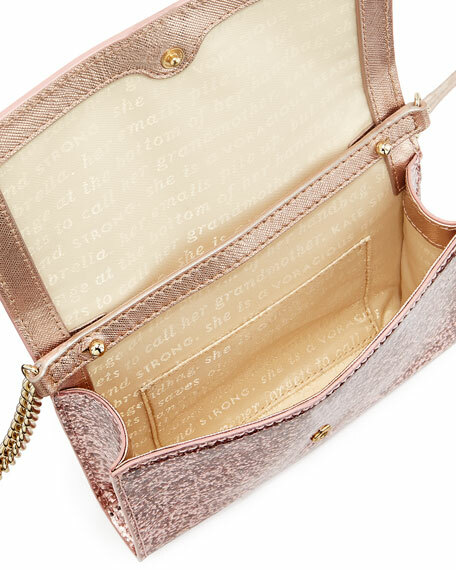 Interior, "quick & curious" jacquard lining; card slot. 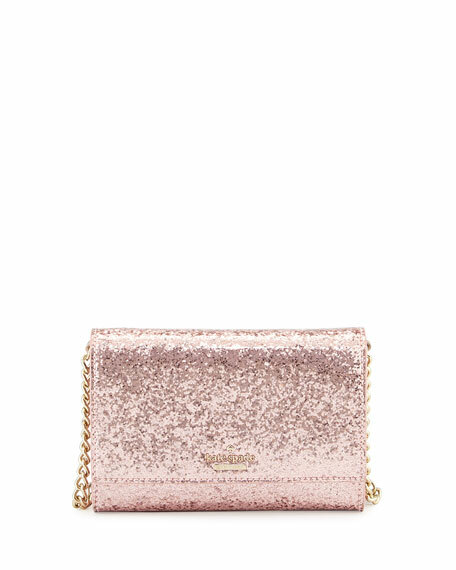 4.5"H x 6.2"W x 1"D.
"glitter bug cami" is imported. For in-store inquiries, use sku #1617572.